Don't know your Flourite from your Damascus? 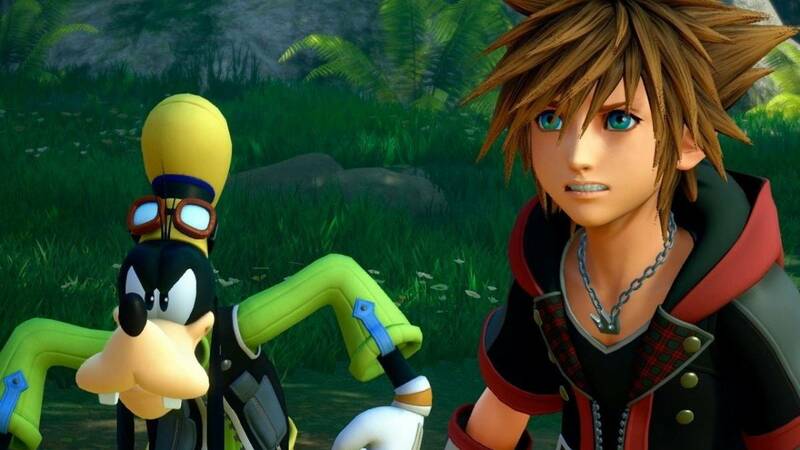 These Kingdom Hearts 3 tips will help you out. With so many new features in Kingdom Hearts 3, it’s going to take a while to become familiar with how everything works. While I didn’t find myself struggling at any point throughout the game, there are things that it doesn’t always inform you of. So, after completing my playthrough, here are six quick tips that I wish I’d have known from the start. There are quite a few options to tinker with in the games config menu. It’s worth spending a couple of minutes to customize your settings to create an experience that better suits your playstyle. However, the one thing I’d definitely recommend doing is switching the Keyblade cinematics to the more abbreviated basic setting. While the cinematics in this game are quite spectacular, due to the frequency of which they appear, they quickly become a chore to sit through. The Keyblade Forge allows you the ability to power up your Keyblades, but to do this requires the synthesis materials: Fluorite, Damascus, and Adamantite. While these materials can be found in chests scattered throughout the different Worlds and eventually purchased from the shop, an easier and cheaper way to acquire them is by taking to the skies and blasting some meteorites up with your Gummi ship. However, it’s worth noting that Damascus and Adamantite can only be found in the space areas of The Eclipse and Misty Stream. Now, there’s the obvious ways recover health through using potions or magic, but for those unfamiliar with the Kingdom Hearts franchise, there are so many other ways to heal up as well. By stepping onto any save point, both your mana and HP will automatically recover. So if you feel the need to, sometimes it might be worth backtracking if you know a save point isn’t far away. Also, using any Link command will automatically recover your entire party to full health, but you’ll need a full bar of MP to use it. As you progress through the game, you will regularly receive new spells, each of which have three versions that gradually increase in power and cost. Whenever you gain access to the next version of a spell, in order for you to be able to use it you’ll have to first select it from the customize menu. The game doesn’t explicitly tell you to do this, so make sure to change up your magic menu in the customize section as soon as you acquire a new spell. When your Keyblade transforms, in most cases, so does your ability to guard against enemy attacks. Heading into your equipment menu and pressing the Triangle or Y button respectively will show you how this ability changes and all of the other moves you gain when a Keyblade transforms. The Nano Gear Keyblade grants you the particularly useful Nano Shield, which blocks attacks from all directions, once it transforms. Towards the end of the game, this became my go-to for most boss fights. The new cuisine feature adds recipes and foods to Kingdom Hearts 3 which, when eaten, grants you temporary unique benefits to your stats. Plus, by eating a full five-course meal you’ll gain additional abilities on top of all that. While this feature is introduced early on, I found to neglect it throughout my playthrough. However, now coming up to some of the optional battles after finishing the story, it’s certainly coming in handy. If you’re having trouble with a boss battle, or if you suspect you’re coming up to one, it might be worth it to fuel up on food before the fight. Free stuff and not free stuff coming to Kingdom Hearts 3 before the year is up.